Bringing Bible stories into play time, this collection of ideas and activities is a valuable resource for parents and Sunday-School teachers alike. This volume contains ideas for 20 presentations from the New Testament, including Easter, Holy Communion and Pentecost. The Complete Guide to Godly Play, Volume 4 by Berryman was published by Continuum in November 2002 and is our 14449th best seller. 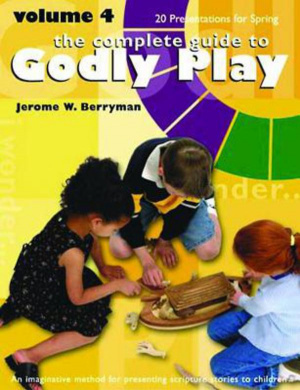 The ISBN for The Complete Guide to Godly Play, Volume 4 is 9781889108988. Be the first to review The Complete Guide to Godly Play, Volume 4! Got a question? No problem! Just click here to ask us about The Complete Guide to Godly Play, Volume 4.